The Multi Use Games Area is also available for community and visitor use, outside of school hours. It is located within the school yard and access is available through the rear of the schoolyard near the Children Park. 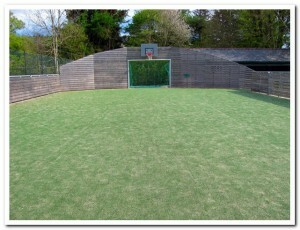 The Muga is fantastic for playing football, basketball and netball. * There is no provision to reserve a time slot for facilities such as golf, tennis and the MUGA – access is on a ‘first come, first served’ basis. It may therefore be necessary to wait for others to finish their game/session.